You can see new unused UTON 0006 in these pictures. It is lubricated by preservative vaseline “P”. 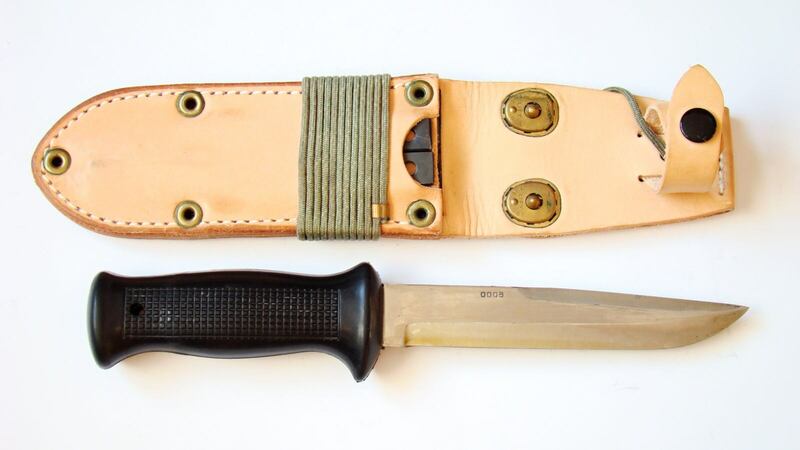 The sheath for uton 0006 is the last type with a large brass rivets with a gap in the middle. 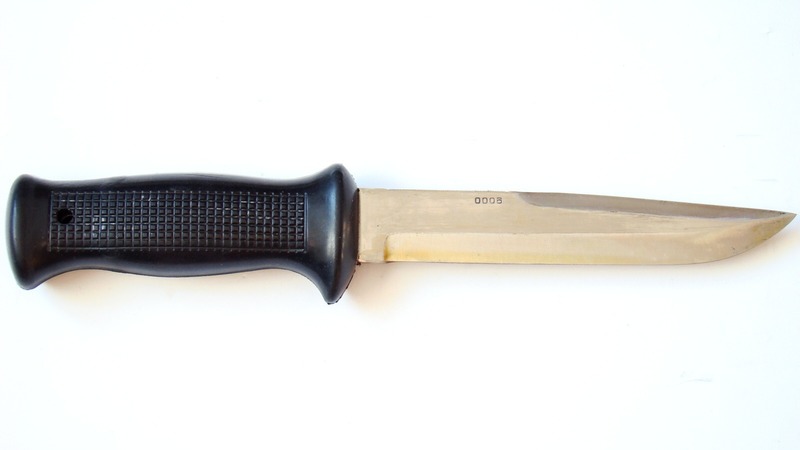 The sheath is marked by acceptance mark from the year 1983. We could come across two types of signs of Technical Inspections Division by acceptance mark from the year 1983. It is: OTK-2 and OTK-3. Detailed pictures of markings of sheaths is HERE .